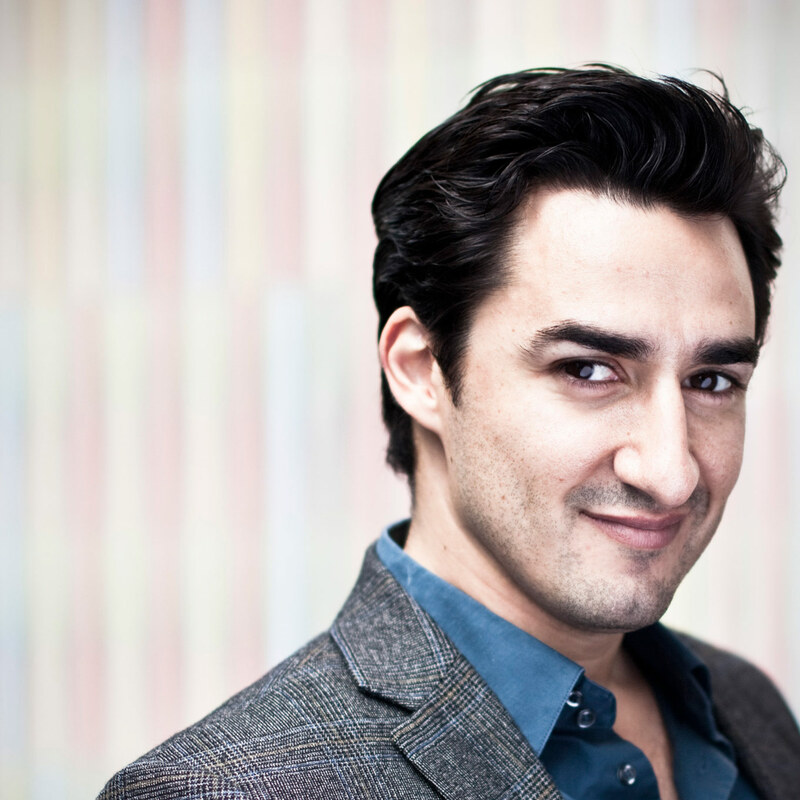 Charles Castronovo began his 12⁄13 season with his debut in Amsterdam in a concert performance of Les Pecheurs de Perles at the Concertgebeouw, after which he returned to the Opera de Paris as Tom Rakewell in The Rake’s Progress. Castronovo subsequently appeared at the Metropolitan Opera as Don Ottavio in Don Giovanni. He sang Gennaro in Lucrezia Borgia for the Bavarian State Opera in Munich, role that he will also sing at the Theatre Royale de la Monnaie and then will sing La Traviata for the Staatsoper Berlin. Castronovo will appear at the Royal Opera Covent Garden in two productions during the current season: as Tamino in Die Zauberfloete and in his first performances of Ruggero in La Rondine opposite Angela Gheorghiu. Future plans also include his first Des Grieux in Manon in Toulouse, Faust opposite Anna Netrebko in Baden Baden, a new production of Maria Stuarda at the Royal Opera Covent Garden opposite Joyce di Donato. He will appear in several works in Munich; among them Die Zauberfloete, L’Elisir D’Amore, La Boheme, at the Deutsche Oper Berlin in a new production of La Rondine, and as Lensky in Eugene Onegin and Nemorino in Vienna. Castronovo is also scheduled for his debut at the Gran Teatro del Liceo in Barcelona as Alfredo. Born in New York and raised in California, Castronovo began his career as a resident at the Los Angeles Opera. He was invited to join the Metropolitan Opera’s Lindemann Young Artists Development Program and in the autumn of 1999 made his debut at the Metropolitan as Beppe in the opening night performance of I Pagliacci. In the first years of his career Castronovo built his repertoire with debuts as Tamino in Die Zauberfloete and Fenton in Falstaff in Pittsburgh, as Don Ottavio in Don Giovanni and Ernesto in Don Pasquale in Boston, and as Ferrando in Cosi Fan Tutte in Portland ,where he also sang his first performances of Nemorino in L’Elisir D’Amore. His debut as Alfredo in La Traviata took place with the Minnesota Opera. as Belmonte in Die Entfuehrung aus dem Serail with the Colorado Opera, and as Elvino in La Sonnambula for the Michigan Opera Theater. Castronovo made his European stage debut at the 2000 Savonlinna Festival in Don Giovanni. He subsequently debuted in Germany at the Berlin State Opera in the same work under Daniel Barenboim, in France as Fenton at the Theatre du Capitole in Toulouse, and in Great Britain at the London Proms of 2002 in Ravel’s L’Heure Espagnole. In the 2003⁄2004 season he made his debuts at the San Francisco Opera, Paris Opera and Vienna State Opera as Tamino; in September of 2004 at the Royal Opera, Covent Garden in September of 2004 as Ferrando. This was followed by his Italian stage debut as Alfredo at the Teatro Carlo Felice in Genoa. Other significant debuts included Alfredo at the Hamburg State Opera and at the Megaron in Athens, Fenton at the Theatre Royale Monnaie in Brussels . Ferrando at the Bavarian State Opera in Munich. A regular guest at all these theaters, Castronovo has since been heard as Alfredo in Vienna, London, Berlin and Aix en Provence, as Nemorino in Paris, Vienna, Nice and Berlin, as Belmonte in Munich and Rome, as Tamino in San Francisco, as Don Ottavio in Los Angeles, San Francisco, and Munich. He made his debut at the Salzburg Festival as Belmonte in Entfuerung. Castronovo has also participated in revivals of more rarely performed works. He starred as Mylio in the revival of Lalo’s Le Roi D’Ys at Toulouse, opened the 2010⁄2011 season at the Paris Opera as Vincent in Mireille and debuted at the Festival de Montpellier in July of 2012 in Massenet’s Therese. He also recorded Mercadante’s Virginia for Opera Rara and sang Rossini’s Ermione in Santa Fe. A frequent soloist on the concert stage, he has appeared with the Chicago Symphony Orchestra, New York Philharmonic as well as in concerts in China, Japan, Russia, Sweden and Denmark.